Occasionally, amid the deluge of new music and the endless procession of reissues, some truly remarkable, nearly forgotten recording rises to the surface. Such is the case with Nomenclature Diablerie’s 888 demo. Formed in Sydney, Australia in 1988, Nomenclature Diablerie was a short-lived project based on songs written by guitarist Matty Boomsticks. The scene in Sydney at the time was potent. Deathrash pioneers Slaughter Lord spearheaded the extreme metal movement, and Sadistik Exekution’s emergence a couple years later set the trajectory for the frenetic and chaotic style that would eventually dominate the Australian scene. Inspired by the aforementioned local acts, as well as Bathory, Slayer, and the other extreme metal bands that were active at the time, Matty began writing songs on his own. He mentioned to his friend Dave Slave, bassist for Sadistik Exekution, that he was looking for a drummer, and Dave passed the information along to Sloth, also a member of Sadistik Exekution. The band was unnamed until Matty showed Dave one of the songs he’d written, and Dave suggested scrapping the song, but keeping the title, “Nomenclature Diablerie,” and using it as a band name instead. Matty and Sloth rehearsed together off and on for several months and eventually booked time in a local studio to record a demo. Before recording, Matty recruited another friend, Toneye (Chaotic Impurity, Infinite Black), to handle the vocals. 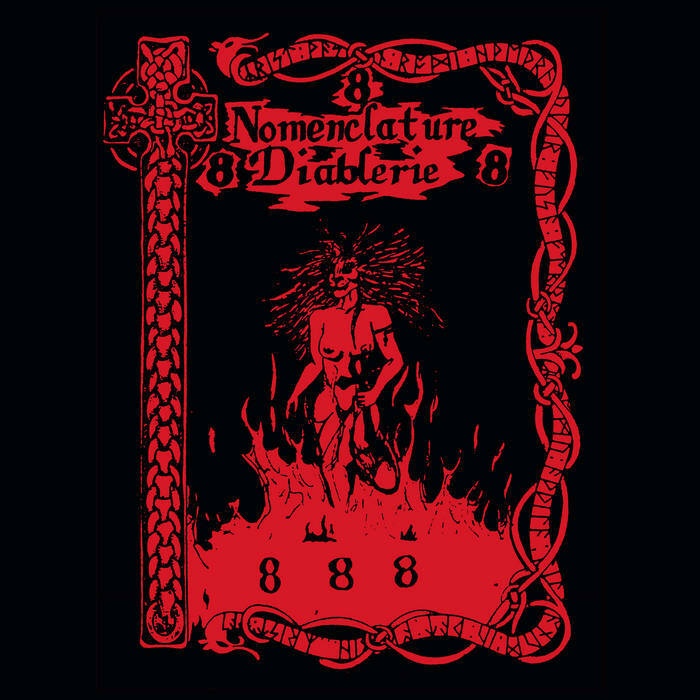 Although they only recorded two songs, the demo, simply called 888, offered a distinguished approach to metal that was incredibly advanced for the time. Matty’s mission with Nomenclature Diablerie was to expand the boundaries of metal, laying waste to the conventional approaches of the day, while still maintaining a sense of purity in the music. When listening to 888, it is clear that Matty was drawing influence from other styles of music. The songs on the demo are a dizzying spectacle of warped time signatures and clashing chords, but delivered with stunning precision. The second side in particular, featuring the song “Premature Cremation,” shifts with mathematical accuracy, the riffs lurching and bending, mutating as the song evolves. The same innovative spirit that drove so much of the early Australian underground permeates the 888 demo. Of course, one can only speculate about what the band might have accomplished had Matty persisted, but the existence of this demo offers at least a glimpse of Nomenclature Diablerie’s fleeting brilliance. Originally released in 1988 in an edition of around 500 tapes, and pressed again in 1999 as a very poor sounding 7” limited to 200, these tracks have never been given a proper release until now. Presented here as a 45 RPM 12” with full size cover art, this definitive reissue is intended to restore Nomenclature Diablerie to its proper place in the canon of Australian extreme metal.